Input lag is the parameter that indicates the time needed for the signal to be displayed on the TV screen, monitor or projected on the canvas in case of a projector. The delay is expressed in milliseconds and can cause many issues for consumers. For home users input lag is the biggest problem for gamers, especially those who play first person shooter over the internet. 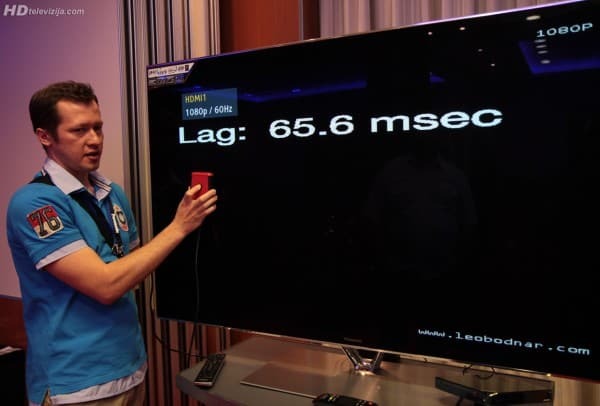 In the world of TVs input lag spans from 14 ms to over 200 ms depending on the TV model, as well as its settings. Usually the lowest input lag is achieved in Game picture presets as well in specific “Game modes” depending on the TV manufacturer and specific model. Below is a table with the results of measurements on TVs that were tested from 2013 until today.